Thanks to the student media fee passed in the spring of 2017, which also benefits The Scribe, the student run radio program at UCCS has expanded its programming to cover professional sports and has been nominated for awards. According to Station Manager Maddie Ellis, a junior majoring in biomedical sciences, due to the media fee and new extended budget, the UCCS Radio is able to host more events involving in-house artists. They’ve also been able to update their music selection and diversify their 24-hour playset. This year so far, the UCCS radio has expanded its staff to about 27 DJs and added a second paid position — Program Director, which was filled by Nate Jones. Nathan Jones and Philip Oke-Thomas, the hosts of the UCCS Radio sports show The Two Minute-Drill, recently traveled to Denver to cover the Nuggets on Nov. 11 in one of their biggest games so far in the season. This year, the UCCS Radio has been nominated for several awards in the 79th annual IBS Conference in New York City. The competition will be held the first weekend March. “In order to compete, we submit segments from shows. If we end up being finalists, that means UCCS Radio falls in the top 10% of radio shows in the country,” Ellis explained. During Disorientation Week, the UCCS Radio helped host one of the campus’ traditional kickoff events, the Concert on the Lawn. The event featured live performances by headliner Knox Hamilton and special guest Pandas & People. On Nov. 16, the UCCS Radio hosted the Fall Festival and Food Drive. At the event, students were able to meet DJs, play games, and help the campus community through food donations for Clyde’s Cupboard. The UCCS Radio is beginning to work alongside the Asian Pacific Islander Student Union of UCCS to put on the Fusion event happening on March 18. The event showcases several different Asian cultural performances performed by several diverse groups. The purpose of Fusion is to raise cultural awareness on campus. Sometime in April, the UCCS Radio will join the MOSAIC and the Recreation and Wellness Center at the Kick It! Event, UCCS Mini World Cup. They will also help with the Bash the Bluffs 5K on April 27. 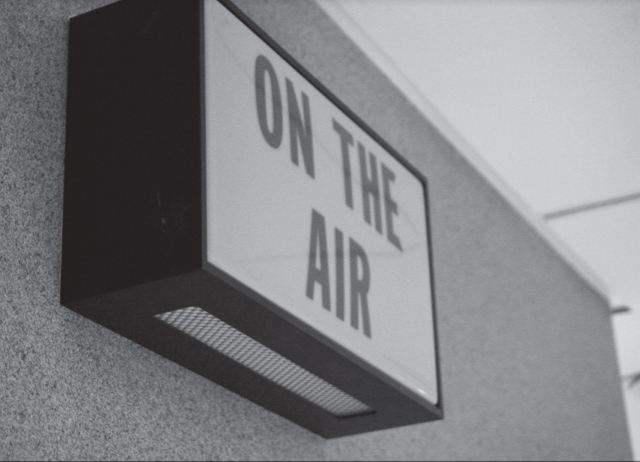 To be a successful radio station on campus, the UCCS Radio remains receptive to suggestions from students and is open to accepting new DJs..
For students who have any suggestions or are interested in being a DJ, please contact UCCS Radio at radio@uccs.edu.